I’ve always wondered if treble hooks with feathers actually make a difference. On one of my last outings, I saw the light. My father and I were fishing for smallies with topwater lures recently. He was using a lure with feathers on the back treble and I was not. Fish were following my lure, but I could not get them to commit. My father, however, was whacking them left and right. I believe the dressed treble was actually making a difference for him. Feathers on a treble hook give added movement and reflection even when the lure is paused. Fish were nailing my dad’s popper on the pause but would not hit mine. 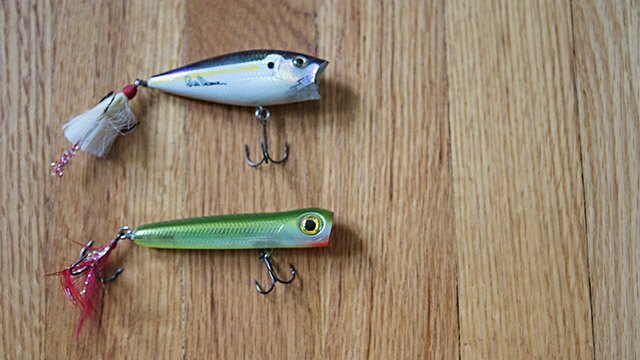 The next time you notice fish following your jerkbait, topwater or even crankbait and won’t commit to taking a bite, try swapping out the back treble for one that’s dressed. It just might make the difference you’re looking for.